A few days ago, the Winn Feline Foundation announced funding for seven feline health studies. Two of them were granted to a local veterinary school - the University of Missouri's School of Veterinary Medicine. We're huge fans of the work MU's Vet School does, and were excited that Winn Feline Foundation had awarded them to my husband's Alma Mater. But I have to admit, the first one puzzled me a bit. 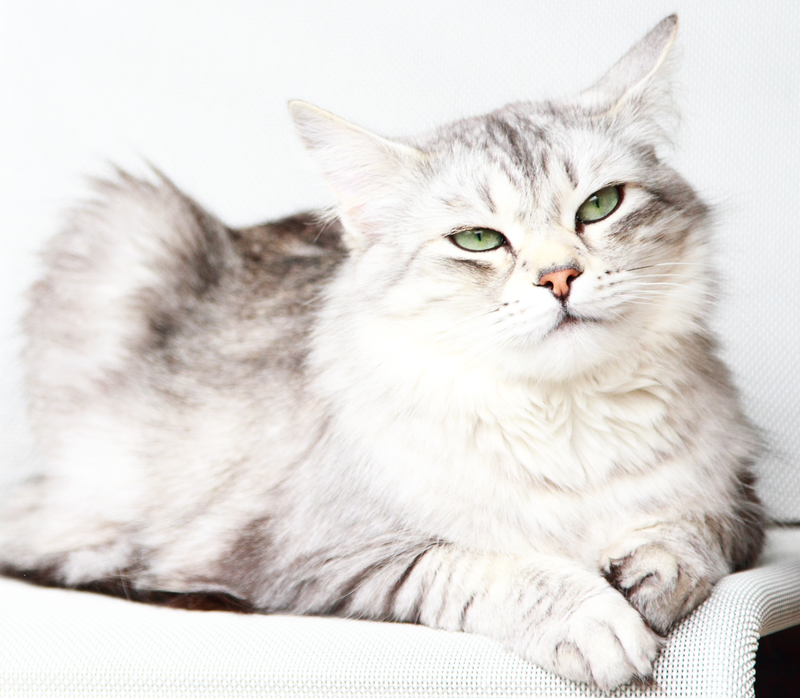 Mutations have been identified through whole genome sequencing appear to be correlated with silver coat color in cats. This study will evaluate whether these mutations are present in 300 cats of known coat color to establish which mutation causes this trait. This will enable the development of a genetic test for silver, one of the few remaining cat colors for which there is no genetic test." Now, why would Winn give $10,000 to study a cat's coat color? Admittedly, silver cats are stunning. Just look at our friends Truffle and Brulee over at the blog Sweet Purrfections! Still. Why study this? Turns out there's more here than meets the eye. And it benefits us humans! 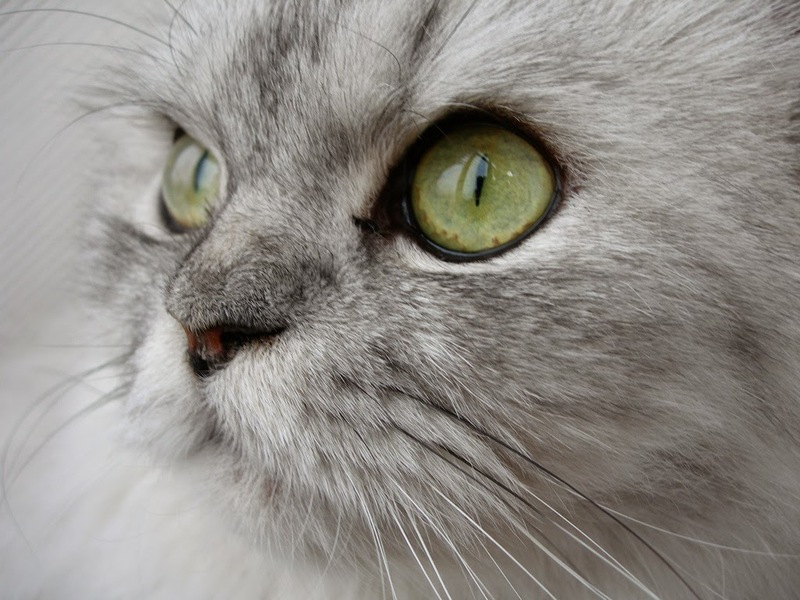 According to Oxford Journals' Journal of Heredity, by mapping the genetic locus of a cat's silver coat color, medical research hopes to be able to identify a unique genetic location in all mammals. Specifically, the hope is that this gene might help us understand something far more serious than just a pretty color: it may just help doctors understand and prevent skin cancer in humans. From the Journal: "SILVER in the domestic cat may possibly play a role in ... regulation of synthesis of pheomelanin or in the structure or molecular composition of the pheomelanic pigment." 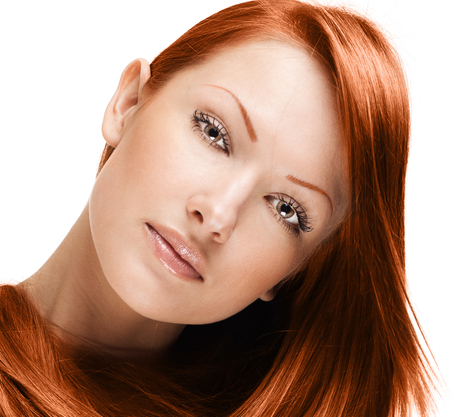 pheomelanin is a type of melanin (dark pigment) found in people who have red hair. It's what gives red hair its color. This type of melanin can be toxic - it causes oxidative DNA damage. In other words, if you're a redhead, the pheomelanin in your hair increases your risk of developing melanoma. According to Drs. Morgan, Lo and Fisher, medical research has not yet uncovered the chemical pathway between pheomelanin and the DNA damage that causes melanoma. But now, that just might change. The hope is that they will discover that the silver gene in cats will block - or at least regulate - the body's role in manufacturing this toxic pigment. "How does pheomelanin synthesis contribute to melanomagenesis?" BioEssays, Volume 35, Issue 8, pages 672-676. August, 2013. "Mapping of the Domestic Cat “SILVER” Coat Color Locus Identifies a Unique Genomic Location for Silver in Mammals" Journal of Heredity, Volume 100, Issue supplement 1, p. S8-S13. "Chemical analysis of late stages of pheomelanogenesis" Pigment Cell Melanoma Res., August 2009, p. 474-486. That is just plain fascinating and being married to a redhead - well he's grey now but he was a redhead - I hope it works. Wow, that is very cool! That is very interesting. Have a marvellous Monday. That is fascinating! We love your postings about these topics! Thanks! We hope to be able to do this again a bit more frequently than the past six months. I always thought it was because redheads were just so darn fair skinned.. I burn after like 10 minutes in the sun if I'm not super careful. Thanks! Take it up with our human. She said something about this fall being cray-cray. Seriouslies, like that's a WORD?!? Mrrp? Meow! How will us tabbies be represented? Inquiring moggies want to know! Wow, that is cool! Did you know there is a silver version of Somalis? They are only accepted in Europe, though. They aren't recognized in the US breed organizations, which is too bad because they are gorgeous. Wow, this is so interesting! I hope the study will help reduce skin cancer! How interesting! We hadn't heard about this before. It's wonderful that we can learn from kitties that will help us understand human medicine, too. All I can say is that, you learn something new everyday. Thanks! We can learn a lot from other species and medical advances for one often means advances for the other. How very interesting. Thanks for sharing. Wow! We missed this post earlier, but are glad we found it. Mom Paula is a natural blonde with very light skin. She's already had a squamous cell cancer removed and her dad has had many skin cancers already. We're glad someone is studying our beautiful silver coats to help out the humans. P.S. Any time you want a photo of silver shaded Persians, just let us know.